As a self professed science nerd my study of choice over the last decade has been neuroscience, so much so that I’ve built a consulting practice centered on a notion that we can improve our selling success by incorporating its scientific findings. 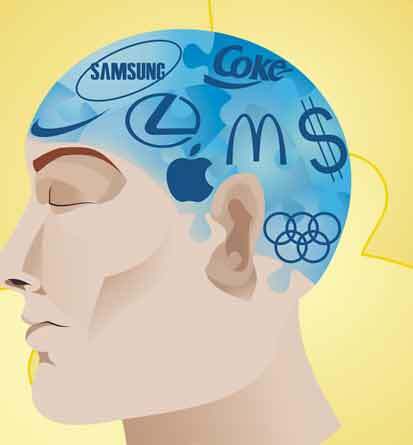 Whether you feel neuromarketing, neuroeconomic or even neuropolitical thought is appropriate, here are some ideas you might want consider if you’re in the business of selling technological products or services. Much has been written recently about how humans use the most primitive regions of their brains to make decisions, and that these decisions are not always (or even usually) rational. In fact, rational thought can often get in the way of action – how else can we explain suicide bombers? In previous articles, I’ve discussed the scientific underpinnings of our human penchant for non-rational decision-making and how much individual and group behaviour is predictable by understanding our evolutionary history. Studies clearly indicate that while evolution of human behaviour seems to have followed adaptation principles that seem somewhat random, they are really an assembly of behaviour and activities that help us cope with whatever current circumstances we face. In evolutionary terms, we are alive today because the primitive centres functioning in our brains are clearly focused on our survival. In effect, this means that the other various regions of our brains have been able to overcome structural deficiencies because they worked well enough to keep us alive. What other “neurofacts” might you find of interest? On the way to the development of mankind, our brain went through several distinct evolutionary phases. The anatomy of the modern brain provides the history of this development. First, there was a brain stem, which is the lowermost and most primitive layer of the brain. It is the part of the brain that oversees such functions as reproduction, self-preservation, blood circulation, breathing, sleeping, and the contractions of muscles in response to external stimulation. This brain stem sits on top of the spinal column at the base of the skull. It is the “old brain,” sometimes referred to as the reptilian brain because all vertebrates, from reptiles to mammals, possess it. • The new brain thinks. It processes rational data and shares its deductions with the other two brains. • The middle brain feels. It processes emotions and gut feelings and also shares its findings with the other two brains. • The old brain decides. It takes input from the other two brains, but it controls the decision-making process. It took a couple of marketing people, Patrick Renvoise and Christophe Morin, to recognize the marketing implications of one powerful insight: If we make decisions in a clearly defined part of our brain, why not direct messages in a way that that part of the brain can understand? The old brain is a very self-centered entity, and general considerations about anything else do not reach it. Think of the old brain as the center of me. Do not assume that it has any patience or empathy for anything that does not immediately concern its survival and well-being. The success of Facebook is clearly an example of this phenomenon. With over one billion members, each and every site is an image of its owner. It is “me” magnified. But never forget, the “me” you’re trying to reach with your product is not you – it’s your end user. And your app must solve a problem that user actually cares about. The old brain seeks contrast. Before/after, with/without, slow/fast, I’m a Mac/I’m a PC contrasts all allow the old brain to decide. Contrast is a safe decision engine that allows the old brain to make quick and safe decisions. Without contrast, the old brain enters a state of confusion, which ultimately results in delayed decisions. Facebook’s Instagram, which started as a photo-sharing app, recently introduced a video-sharing product to counter other offerings such as Twitter’s Vine, and both are promoting themselves as simple solutions for video sharing. What’s the difference? Perhaps Instagram is hoping it’s more convenient to use and already has a base of users or Vine thinks it provides a more comprehensive solution and has a large base of users, but comparisons like a recent Calgary Herald article I read makes it easy to understand the distinction between these two sites, and I know which one I would prefer. And what about those other thousand or so competitors in this space? The old brain responds to tangible things. Numbers work for the new brain, but the old brain can’t make a decision based on numbers alone. The old brain is constantly scanning for what is familiar and friendly, what can be recognized quickly, what is tangible and immutable. The old brain cannot process concepts like flexible solutions, integrated approaches, or scalable architecture without effort and doubt. Tangible solutions provide financial, strategic or personal benefits. Saving money; easier to use; sharing with my friends — these are tangible examples. The old brain is visual. Neuroscience demonstrates that when you see something that looks like a snake, your old brain warns you instantly of danger so that you react even before the new brain recognizes the danger as a snake. This implies that visual processing enters the old brain first, which can lead to a very fast and effective connection to the true decision-maker. Sites such as Pinterest have garnered over 70 million users worldwide by recognizing the simplicity of “pinning” pictures to a virtual bulletin board for sharing and reference. The old brain responds strongly to emotion. Neuroscience has clearly demonstrated that “emotional cocktails” create chemical reactions that directly impact the way we memorize and act. Ask any Apple user how he or she feels about their device, and often love enters into it. In early days Blackberry users likely felt the same, but I would also suggest they’re feeling more forlorn these days. Perhaps a Samsung Galaxy will hit their hot buttons, but regardless, an emotional connection has to be involved for customer loyalty. At the end of the day and as I’ve written before, we avoid our evolutionary past at our peril. My final advice: In trying to convince a 400-million-year-old brain to use your latest technological magic, keep it simple.